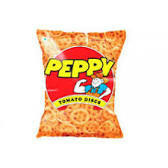 2.Purchase the Peppy Tomato Discs of Rs 30. 3.At the back side of the back,scratch it. 4.You can see Rs.20 paytm recharge coupon there. 1.Visit paytm.com Or Download the paytm app. 3.Initiate a Recharge of 20 or More. 4.Next page Apply coupon,which you have got from Peppy Tomato Discs. 5.Cashback will be credited to your account within 24 hours. 6.User can avail this offer 3 times on per number,per paytm account.